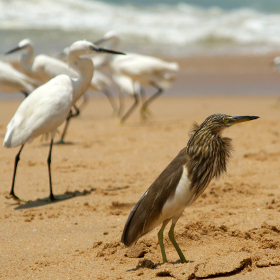 This 9 night/10 day tour is ideal for nature lovers who would like to combine their passion for nature with activity. 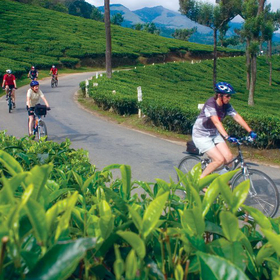 The tour includes staying in a vibrant port town and in the lush tea hills; having a memorising sunset cruise; hiking through picturesque mountains; visiting spice plantations; experiencing elephant rides, jungle treks and bamboo rafting; and cruising in a houseboat. Cochin, or Kochi as it is now called, is divided into Old Cochin (comprising Fort Cochin and Mattanchery) and Ernakulam, which is a bustling metropolis and is considered the commercial capital of Kerala. It is the only district in Kerala where you can experience urban comforts on a par with other major cities in India and also the history of many centuries bygone. 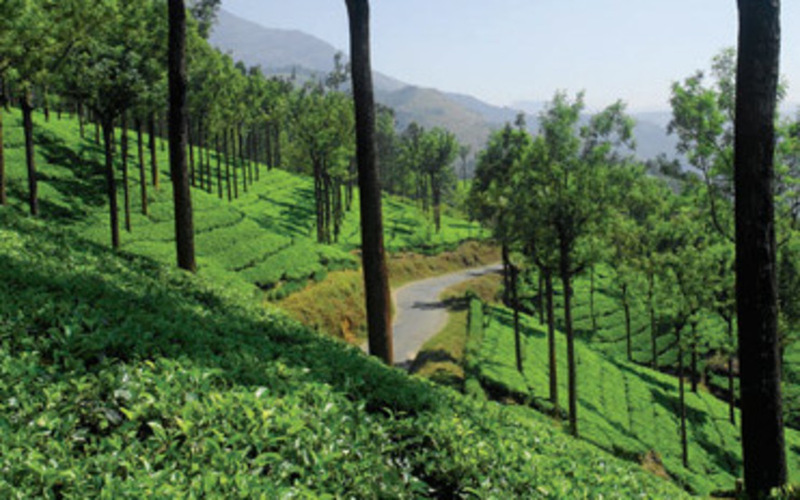 Once the summer resort of the erstwhile British administration in South India it still retains its colonial charm and is famous for its tea plantations, most of which are privately owned. With its sprawling estates, rolling hills, sparkling waterfalls, picture postcard hamlets and undulating valleys, Munnar is an ideal get-away destination. 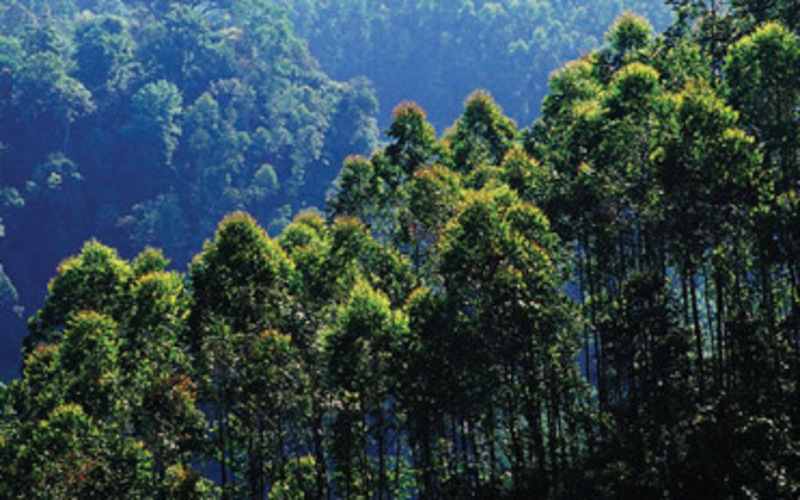 Periyar an area known for its undulating hills, spice plantations, and elephant sightings. One of the 27 tiger reserves in India, the Periyar valley in Thekkady is the oldest. Alappuzha (or Alleppey) is a city on the Laccadive Sea in Kerala. It's best known for houseboat cruises along the rustic Kerala backwaters, a network of tranquil canals and lagoons. Welcomed by a Kerala Travel Centre representative at the airport and transferred to your hotel. A port town since early centuries, Cochin, also known as the Spice Coast of India, attracted traders and invaders from the world over. 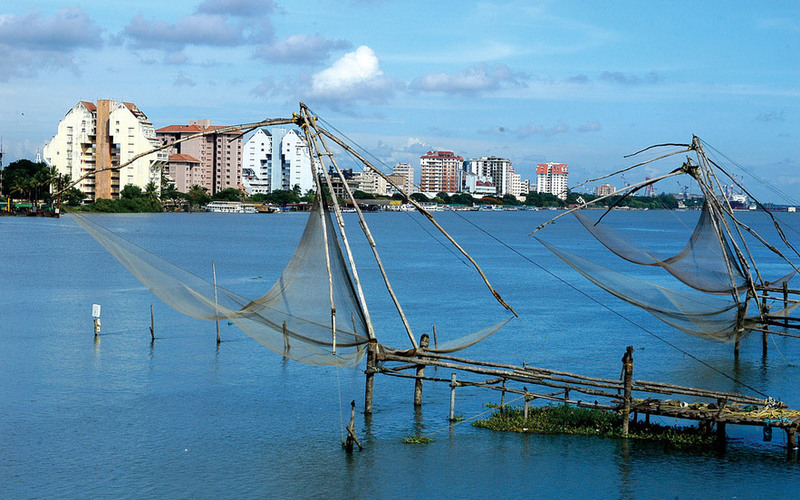 Needless to say, Cochin offers you some fascinating snippets of history and culture. Relax and unwind at the hotel. In the evening, enjoy a relaxing sunset cruise. Overnight at the Koder House hotel with a vehicle at your disposal. In the morning, drive to the Kodanad elephant orphanage. You will have the opportunity to be up and close with the elephants and can participate in their bathing and feeding. Elephant rides will also be possible. Drive along the Periyar river and the dense low altitude forests of Neriyamanagalam, which is full of rubber and cardamom estates, then make your way to the picturesque tea hills of Munnar. 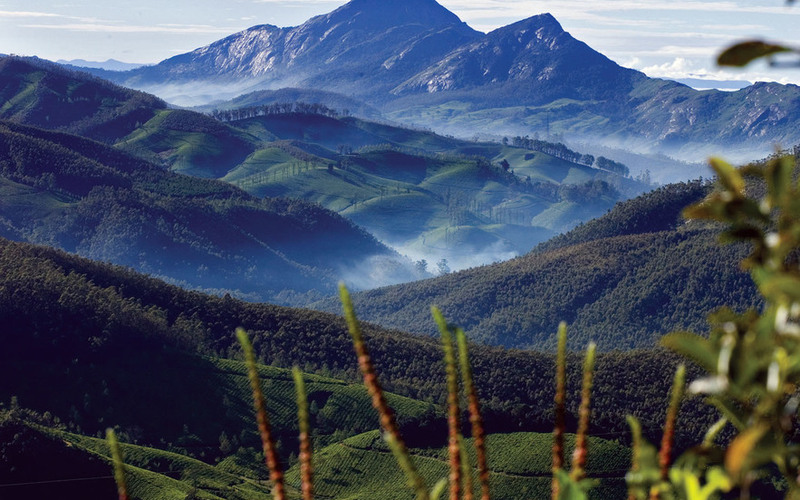 Once the summer resort of the erstwhile British administration in South India, Munnar still retains its colonial charm and is famous for its tea plantations, most of which are privately owned. 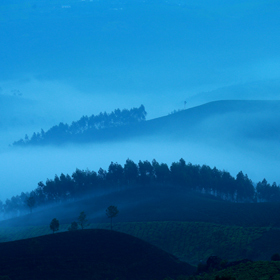 With its sprawling estates, rolling hills, sparkling waterfalls, picture postcard hamlets and undulating valleys, Munnar is an ideal holiday destination. Check into your hotel and unwind. Rest of the day at leisure to enjoy the ambience of Munnar. Overnight at the Sholamalai Bungalow with a vehicle at your disposal. Take an early morning trek through some magnificent trails to the Chokkamudi Hill, offering you spectacular views of the mountains of the Western Ghats. Return to the hotel in the afternoon to enjoy the rest of the day at the resort. Overnight at the Sholamalai Bungalow with full board and a vehicle at your disposal. 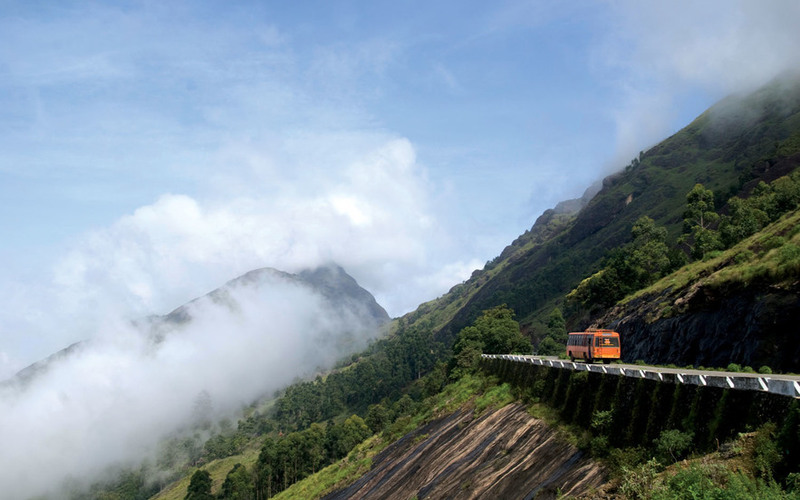 Trek through the Silent Valley, where you can trek up to Meesapulimala, literally meaning The Mountain of the Whiskered Tiger. This is a spectacular trek passing through shoals -high altitude mountainous forest or cloud forests - pine forests, rolling grasslands across a myriad of mountain streams and spectacular valleys. Sightings of elephants, gaur, Nilgiri Thar are highly possible. By mid-morning today you can go for an easy stroll around the Letchmi tea estates and walk through the high altitude forests returning for a late lunch. Have the rest of the day to explore and relax. Drive to Periyar, an area known for its undulating hills, spice plantations and elephant sightings. One of the 27 tiger reserves in India, the Periyar valley in Thekkady is the oldest. Check into your hotel. Go on a spice plantation tour where you will be enticed by the aroma of spices like cinnamon, cardamom, pepper and nutmeg and learn how the spices are grown, harvested and processed before they reach the supermarkets. It is also possible to go for an elephant ride today. Rest of the day at leisure. Overnight at the Wildernest hotel with a vehicle at your disposal. Embark on a full-day bamboo rafting and hiking trail. The programme starts early in the morning and ends in the evening. The raft makes its way through the Periyar Lake and you can see the forests on either side. Trekkers can glimpse the lofty mountains bordering the park watershed and the vast plains below. Two forest guards will accompany you on this trek. Have the rest of the day to relax. Drive down to the plains to embark on your private houseboat and cruise the backwaters, a splendid area full of canals, lakes and coves. Your houseboats, or Kettuvalloms, are luxurious boats with well-appointed bedrooms and ensuite bathrooms. You can sunbathe on the deck or observe the palm-fringed landscape from your cabins. Apart from the mesmerizing surroundings, it is the life along the backwaters that makes this a fascinating experience. 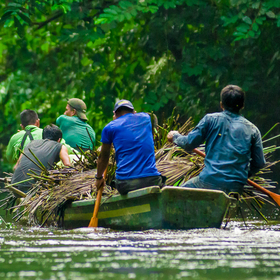 The locals travel in canoes, and you will find vegetable sellers, fishermen and other traders bringing household goods door-to-door in small, wooden boats. As you cruise along the backwaters you can ask your captain to stop at villages, paddy fields and other places en route. Overnight on board with full board and a vehicle for your transfer. Drive to Cochin, where you can check into your hotel and unwind. You could spend your last day in Kerala shopping in the busy bazaars of cosmopolitan Cochin. Enjoy a full body Ayurveda massage today. Spend the day as you wish to relax. Departure transfer to Cochin airport for your return flight with a vehicle provided for your transfer. Being a coastal state surrounded by the Arabian Sea and because of its proximity to the equator, Kerala has a more or less consistent temperature pattern in the summers and the monsoons alike. The temperature hovers around 29°C throughout the year with varying levels of humidity. June and July are monsoon months in Kerala, the showers being heavy at first and then easing off gradually. Whilst these are not the best months for tours, interestingly, this happens to the best time for travellers seeking the therapeutic Ayurveda treatment which is said to be most effective in these months. The months of October through to March are considered to be the most favourable months to travel to Kerala when the weather is sunny and pleasant. The months of April and May are also favourable for travel but the humidity tends to be comparatively higher. August and September are also good months for travel. Prices are per person based on 2 people occupying 1 double/twin room and may vary based on local market fluctuations. For single supplements please get in touch. 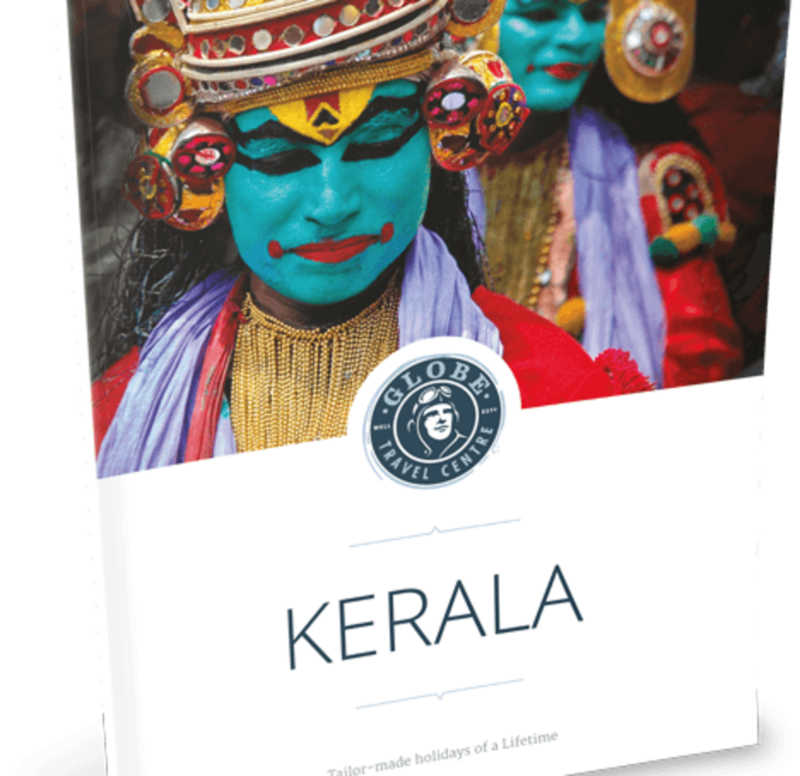 Price Includes: B&B at all hotels except where cited on the itinerary, chauffeur driven AC car, sunset cruise, Kathakali performance, Ayurveda massage, all entrance fees, guide charges, assisted airport transfers and international flights. 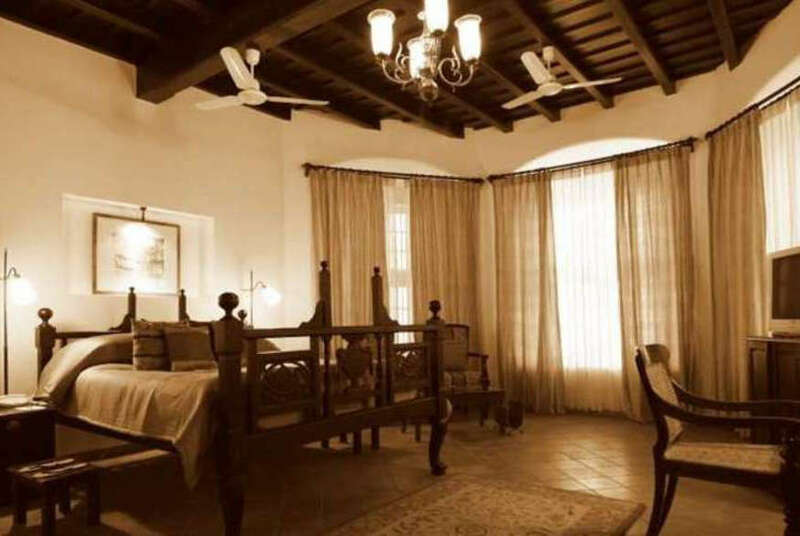 The Koder House is an exclusive boutique hotel situated in the heart of Cochin and combines centuries-old architecture with modern amenities. The ancestral home of the Koders, a prominent Cochin Jewish family, the property is a tribute to the rich, mixed culture of the area – a mélange of Portuguese, Dutch, Kerala and even Chinese influences. The house that once played host to ambassadors, celebrities and heads of states continues to attract visitors from far and wide.The feel is both contemporary and classic, the atmosphere, relaxed. Combining the best of western comforts with ambience and history, the Koder will give you the feeling of being in another era. The highlights of the property are its exclusive, regal, spacious suites which are on either side of the three-storey structure. Grand antique beds, including two original four-posters, polished teak floors, high ceilings and white stone archways on each floor bring the heritage of the place alive. Another highlight is the seafood served in the seafood specialty restaurant which is bought from the fresh catch sold along the sea, across from the property. Every time you book a holiday with us, we donate to a tangible cause at the destination - from our profits. Not only that, at the time of booking a holiday, we give you a choice of projects that we support and you can choose one that's closest to your hearts. Rajeev helped us to provide sponsorship for a child at an orphanage we support for an entire year. Call Freephone 0808 178 9799 to speak with one of our regional experts based at the destination. Our specialists will share their expertise and also understand, in-depth, what you like on your holidays so as to be able to offer a tailor made itinerary that best meet your requirements and budget. When you are a 100% satisfied with an itinerary that our expert has tailored for you and are ready to book, we will request a booking deposit of £250.00 per person. (If your booking involves International flights, we request flight charges at the time of booking). Your balance becomes payable 8 weeks before departure. Globe Travel Centre’s business ethos is centred around benefitting communities- which is why every time you book, we donate to a cause from our profits. At the time of booking, we will give you options of various causes we support at the destination. You can let us know which cause you want us to donate to against your booking. 8 weeks before you travel, you will be sent a detailed and customised jute travel pack in our award winning recycled tyre tube bag which also includes other travel essentials. We will be in touch with you on an on-going basis, both before you travel (to check if you have any last minute questions) and also while you are at the destination, where our local offices ensure you have no problems during the holiday. What’s more, you’ll receive a complimentary mobile phone for the duration of your visit so you can contact us wherever you are. Swipe through our extensive selection of tour itinerary suggestions. Swipe to see more itinerary suggestions.